Patience is not about waiting, but your attitude while you wait. Is your marriage struggling? Do YOU feel like you are the only one putting any effort into the relationship? Friend, don’t grow weary…seek God and He will give you the strength to push through, because it is His will for your marriage to succeed. But he doesn’t desire for you to just wait with a spirit of hastiness and irritation. 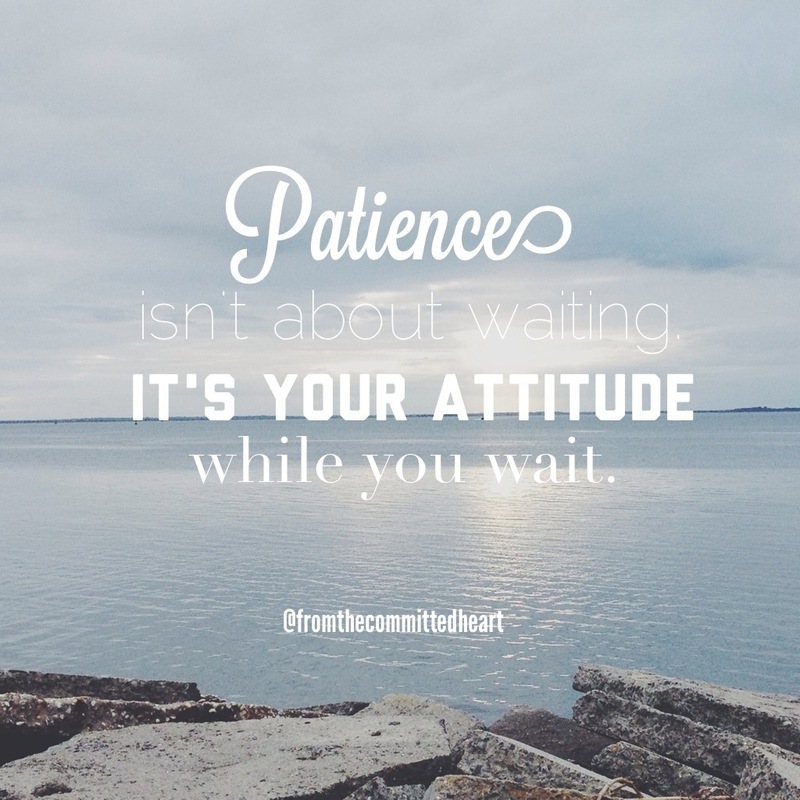 He wants you to wait with love, peace, faith, and patience (with a good attitude). You won’t be able to do this alone. Your attempts will only lead to frustration. Call on God and allow him to fill you with new hope and love everyday. This entry was posted in Family, Marriage, Women and tagged Christian Marriages, commitment, divorce, forgiveness, inspiration, love, marriage, marriage monday, patience by fromthecommittedheart. Bookmark the permalink.